We tend to give disproportionate weight to the first information we receive when we are required to make decisions. 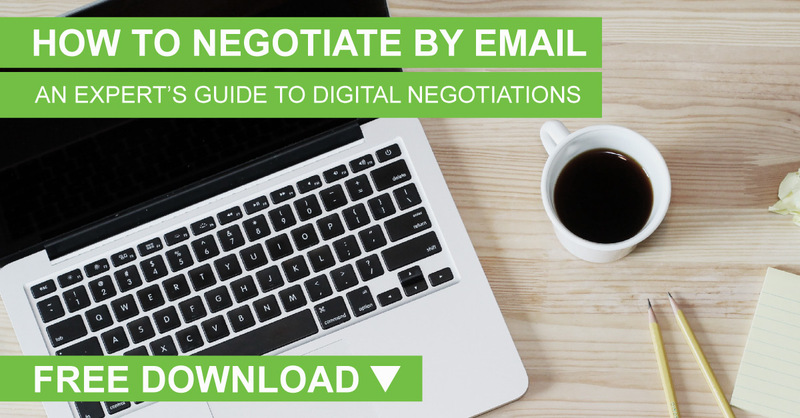 This is important for negotiators. Is it true that 70% of professional athletes will have had a knee injury before they turn 30? What is your best estimate of knee injuries in professional athletes? Consider your answer to the second question. Research shows that most responses to the second question will be closely aligned to the (unsubstantiated) figure mentioned in the first question. This means that our first impressions, or the first data we receive, strongly anchor our subsequent thoughts and judgments. Anchors can be a particular comment made or statistic quoted. They may also be stereotypes about the other negotiator (race, religion, gender, etc.) or about how tough a negotiator you think they are going to be. When deciding this, you need to determine whether you have enough information on which to base your opening move. Generally, if you have inadequate information or a limited understanding of the other party's circumstances, then opening first risks giving them valuable information and may lessen your prospects for your best outcome. If you have more information than the other party, or are in a strong position, then opening first gives you the important tactical advantage of being able to anchor in beliefs and expectations. This works particularly well when the other party is uncertain or confused, or if you are clearly considered an expert. So where possible, provided you are well prepared, we recommend that you open first and set the anchor. To make this technique useful, it is important that your opening offer best represents your aspirations. Studies show that first offers not only set the anchor for the rest of the negotiation, but aspirational opening offers may actually alter the other side’s beliefs about the nature of an appropriate agreement. Plan and prepare: before entering negotiation, consider what anchors the other party might seek to use on each issue. Consciously resist the tendency to be captured by the first line of thought that comes to mind. Always think in terms of a range rather than a single number, and gather as much information from as many different sources as you can. Be open-minded and willing to consider new information and opinions than can broaden your frame of reference. Guard against emotion, intuition, feelings – always check your assumptions. Note that the most dangerous negotiating context for anchors to operate is when you are time-stressed to make a decision. When the other party tries to anchor you, be prepared to immediately re-anchor back. For example, if they frame positives, you frame back negatives. Monitor your self-anchoring (self-negotiating). For example, are you being aspirational enough? Lastly, always look for opportunities to use anchors to your advantage during the negotiation process. 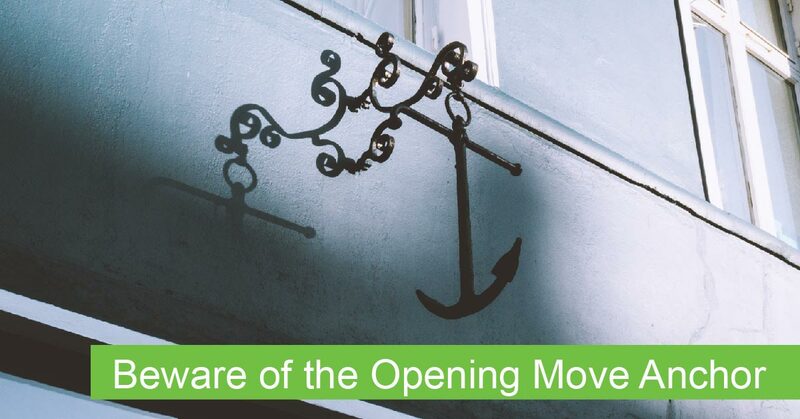 Now think for a moment about this article's opening subject line 'Beware of the Opening Move Anchor'. Was this, in itself, an anchor? To discuss this article in more depth or to explore developing your negotiation capabilities further please contact us on +612 9299 9688.